To finish another exciting day during Dutch Data Science Week, we had a Blockchain in Business Meetup with speakers from Schiphol, Transavia, Ledger Leopard, and Safeguard App! Together with Schiphol, Transavia experimented with blockchain to develop a solution that makes sure that passengers enjoy their stay at the airport while providing the smoothest departure experience possible. Re-imagining Safety in the Workplace: applying Blockchain and AI to predict and prevent workplace accidents. 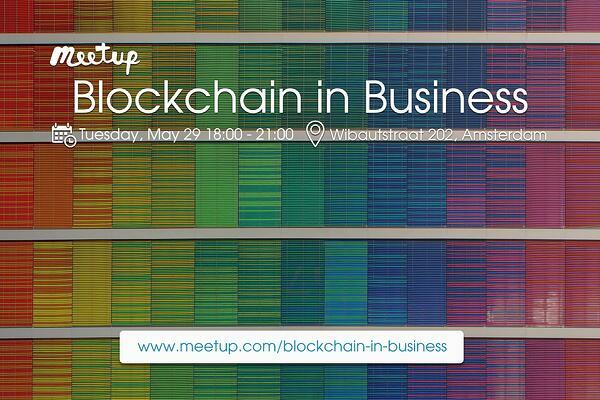 In this Meetup we talk about how blockchain can add value to your business. Experienced practitioners and business professionals share their use cases and best-practices on using blockchain in business. You can expect many how-to's and the latest developments about blockchain, all delivered in clear language. Past speakers come from organizations like LegalThings, Rightsshare, NUON, Nationale Nederlanden, and many more. Make sure to follow our Youtube playlist about this Meetup too (https://www.youtube.com/playlist?list=PLpXDzoVNlnNt1fzbKnkvII3DxGh7z_12N).